Valentine’s day is near and there is a lot of pressure of picking up the ideal gift. RAW Pressery, India’s first and largest cold pressed juice brand, has perfect the solution. 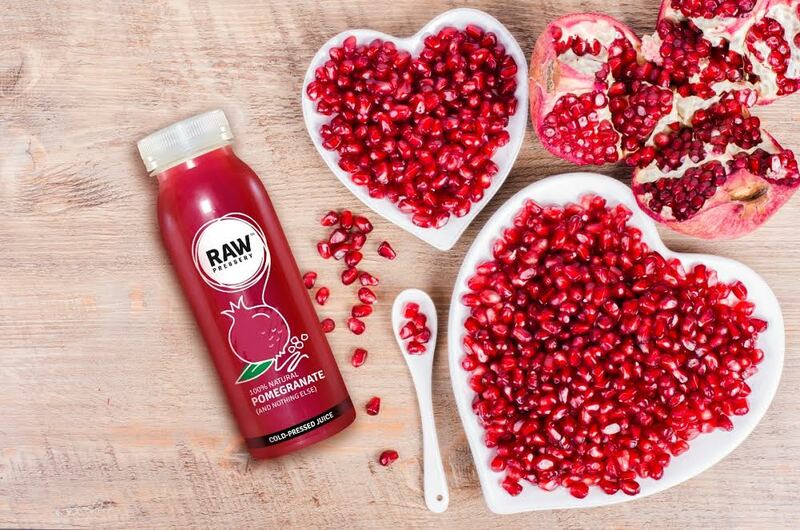 On the shelves this February are two delicious juices that embrace the feeling of Valentine’s Day – POMEGRANATE and LOVE. POMEGRANATE: Made from what scholars believe to be the original forbidden fruit from the Garden of Eden – the pomegranate. This juice is contains the arils from pomegranates that are also known as the elixir for the heart. Rich in antioxidants and vitamins A, C and E, this fruit juice loves your heart as much as you love your Valentine. LOVE: Packed with anti-oxidants that are good for your heart and chia seeds, known for their fat burning properties, this juice gives your body all the nutrition it needs, from fibre to essential minerals. Come fall in Love at first sip. Fresher than any other brand in the packaged beverage category, RAW Pressery’s juice blends are the safest cold-pressed beverages in the market, packaged with high pressure processing. They contain a uniform mixture of juice, fiber and water, making them a complete nutritional package, a perfect shot of good health for you and your loved one! RAW Pressery’s juices are available at premium retailers and online stores. You can also order the juices from their website and have them delivered right to your doorstep! 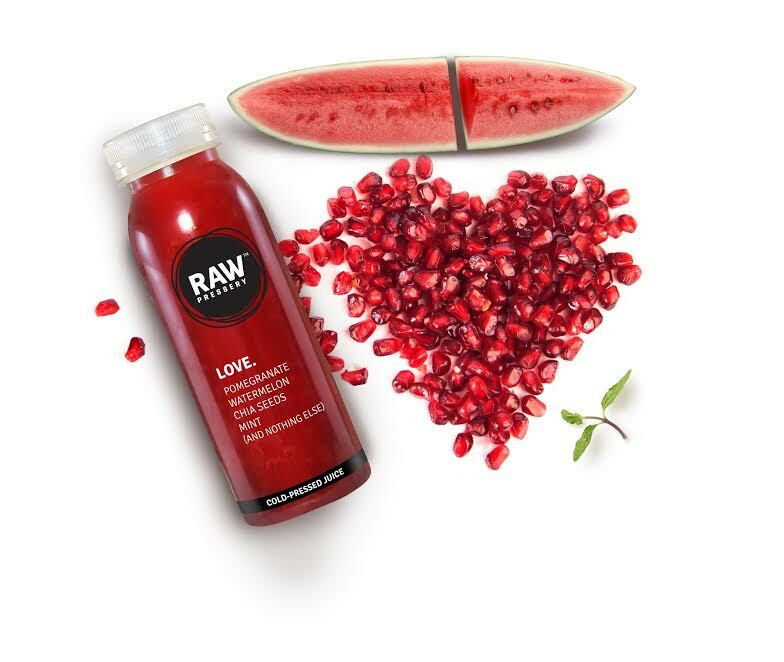 So celebrate this Valentine’s Day the RAW Pressery way. Raw Pressery, founded in the year 2014, is India’s largest cold-pressed juice brand. Incorporated as a part of Rakyan Beverages Pvt. Ltd., Raw Pressery is a vertically integrated company with in-house capabilities in farm-produce procurement, processing, manufacturing, cold chain logistics, warehousing & distribution. It is the only Indian company to use the globally acclaimed revolutionary HPP technology which ensures fresher, safer and healthier food products with stable shelf life. The brand’s portfolio with over 21 different blends comprises of fruit juices, smoothies, nut milks, booster shots and hydration essentials. Started in Mumbai, Raw Pressery’s products are available across Pune, Delhi, Gurugram, Bengaluru, Hyderbad, Chennai, Chandigarh & Kochi. The brand retails through premium retailers like Foodhall, Godrej Nature’s Basket, Reliance Retail, Dee Mart, Aditya Birla Retail; hotels like Hyatt & Marriott ; airlines like Vistara, Jet Airways & Air Asia ; leading coffee chains like Barista, Coffee Bean & Tea Leaf, Costa Coffee and online stores like BigBasket, Grofers, HolaChef & Zomato.